Company Jovanovic voce doo is from Osečina. Osečina's region is one of the most developed areas in Serbia for dried prunes production. Private company Jovanović voce doo from Osecina was founded in 18.09.2009. years. The company is engaged in the production, purchase and processing of dried prunes. For centuries it is known that Osecina fruits are high-quality thanks to its naturally healthy conditions, cleanliness of soil, air and water. Osečnina's region is one of the most developed areas in Serbia for the production of dried prunes, raspberries and blackberries. Jovanovic voce is known for exporting dried prunes all over the world, especially on the Russian market. 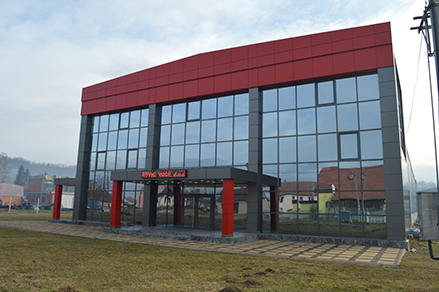 Company Jovanovic voce always guarantees high quality to its customers. Dried prunes are irresistible candies that contain several antioxidants. Especially rich in potassium, fiber, vitamin Ka, magnesium and iron. This package is great on a work desk, in a car, a bag or a rucksack - wherever you need a fast and healthy dessert. Dried prune of this company is more than ordinary dried plum, it is produced from domestic plums, individually selected with irresistible flavors. They have a lot of phenols, and they are also significant in their laxative effect, which can be used in cases of obstipation, both in the younger and the elderly.